The need for an estate plan is crucial. Every day in the United States people of all ages experience unexpected illnesses and accidents leaving them disabled and unable to make important health care decisions for themselves. These unimaginable events force family members and loved ones into a position to make difficult medical decisions. To address this concern, you can execute a Durable Power of Attorney for Health Care which authorizes another person to make health care, medical treatment, custody and related decisions for you if you become unable to do so. 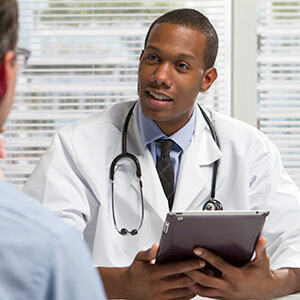 With a Durable Power of Attorney for Health Care, your advocate can express your wishes, and therefore, your physician will know what medical treatment you desire. A Durable Power of Attorney for Health Care is a document in which one person (the “patient”) authorizes a second person (the “advocate”) to make some or all care, custody, and medical treatment decisions on the patient’s behalf in case of disability. Is a Durable Power of Attorney for Health Care binding in Michigan? Yes, based on Public Act 386 of 1998, which authorizes written Durable Powers of Attorney for Health Care and enables patients to designate advocates. Why is the Durable Power of Attorney for Health Care needed? Health care providers have available to them modern medical procedures to save lives and relieve suffering. However, these procedures may, in effect, prolong the dying process. If you lose your decision making abilities, a physician may not know whether you want to exhaust every medical alternative, or whether you want to accept only medical treatments that would ensure comfort, and not prolong the dying process. With a Durable Power of Attorney for Health Care, your advocate can express your wishes on your behalf. Therefore, your physician will know whether to perform a medical procedure, or withhold treatment, and thus allow you to die. Anyone who is 18 years old and competent may establish a Durable Power of Attorney for Health Care. When can your patient advocate act in your behalf? Who determines that you are no longer able to participate in your medical decisions? The doctor responsible for your care and one other doctor or psychologist will make that determination. Whom may you appoint as your patient advocate? Any person age 18 or older is eligible; you can appoint your spouse, an adult child, friend or other individual. You should choose someone you trust, who can handle responsibility, and who is willing to serve. It is a good idea to speak with the individual you propose to name as patient advocate before you complete and sign the document. What must you do to have a valid Durable Power of Attorney for Health Care? The Durable Power of Attorney for Health Care must be in writing, signed by you, and witnessed by two adults. There are restrictions on who can be a witness. You need witnesses who are not family members, not the proposed patient advocate and not employees of a health care facility if you are a patient when the document is signed. What powers can you give a patient advocate? You can give a patient advocate power to make those personal care decisions which you normally make for yourself. For example, you can give your patient advocate power to consent to or refuse medical treatment for you, arrange for home health care or day care or admit you to a long term care facility. Can you give your patient advocate the right to withhold or withdraw treatment that would allow you to die? Yes, but you must express in a clear and convincing manner that the patient advocate is authorized to make such decisions, and you must acknowledge these decisions could or would allow your death. Artificial nutrition and hydration are generally considered life-sustaining medical treatments. Under Michigan law, a patient advocate may allow the withholding or withdrawing of a medical treatment, including artificial nutrition and hydration which could or would allow you to die. If you wish this step to be considered by your patient advocate, you must authorize it in writing and acknowledge that you understand such a decision would allow you to die. Do you need an attorney to execute a Durable Power of Attorney for Health Care? It is a good idea to consult your attorney or an attorney who specializes in estate planning and probate law. However, you can establish a Durable Power of Attorney for Health Care without an attorney. What should you do with your Durable Power of Attorney for Health Care after it is signed and witnessed? Signed copies should be given to your patient advocate, to your successor patient advocate if you appoint one, and your attorney should retain one. If you enter a long term care facility or hospital, make sure the facility has a copy of your Durable Power of Attorney for Health Care. When should you review your Durable Power of Attorney for Health Care? Because medical technology is constantly changing, and since there may be changes in your outlook or health status, it would be wise to review a Durable Power of Attorney for Health Care once a year.